1. 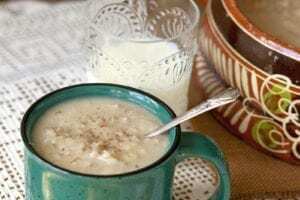 Mexican Apple-Cinnamon Oatmeal – Enjoy old-fashioned oats with a fall flair. Once sweetened with apples and maple syrup and spiced with cinnamon and salt, mix in 1 cup milk and simmer until creamy. Sprinkle extra cinnamon and garnish with golden raisins. 2. 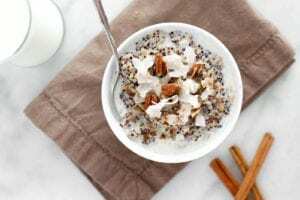 Chai Quinoa Protein Breakfast Bowl – Jumpstart your morning with this protein breakfast bowl made with quinoa, milk, brown sugar, vanilla and spices galore. 3. 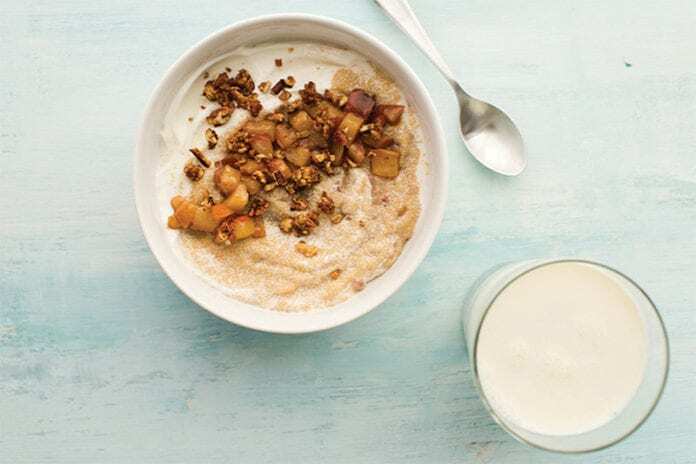 Amaranth Porridge with Pears, Crunchy Pecans and Yogurt – Toss roasted pecans drizzled in maple syrup with pears and spices then mix into amaranth with milk for a creative twist on a classic breakfast favorite. 4. 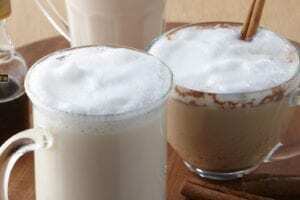 Maple Steamer – Two ingredients: milk and maple syrup. Warm up, pour into a mug and sip on this simple, delicious treat. 5. 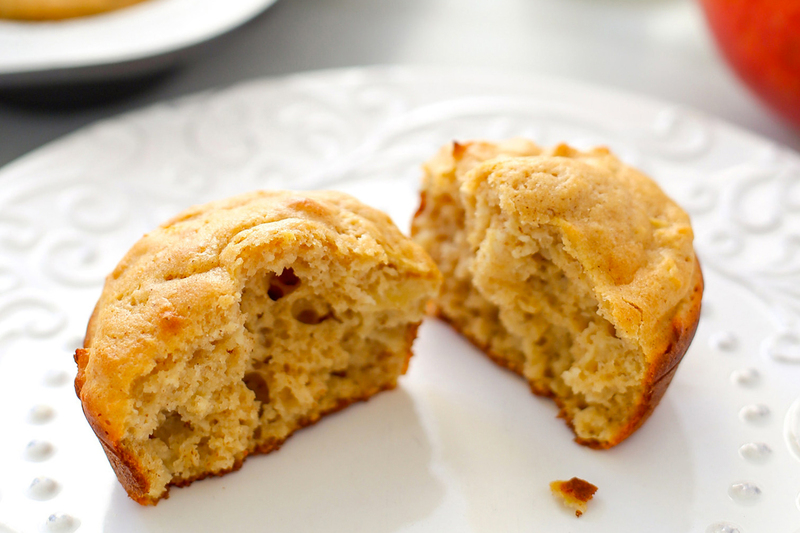 Apple-Cinnamon Whole-Grain Pancake Muffins – Combine two breakfast favorites – pancakes and muffins – for the ultimate grab-and-go meal made with apples, cinnamon and wholesome milk for your delight. 6. 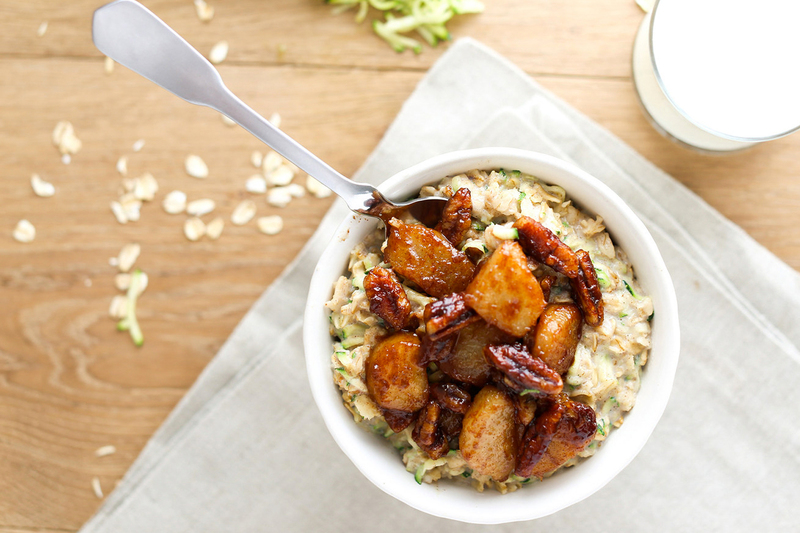 Caramelized Pear and Pecan Zoats – Try this tasty twist to add vegetables to your breakfast bowl by mixing shredded zucchini and oatmeal to make zoats. 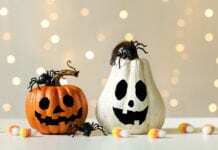 Flavored with cinnamon, brown sugar and pecans, this recipe is an ingenious way to bring the fall harvest to your morning meal. What are your favorite morning meals on a crisp fall day? Share in the comments section below.